Jumpin’larks! 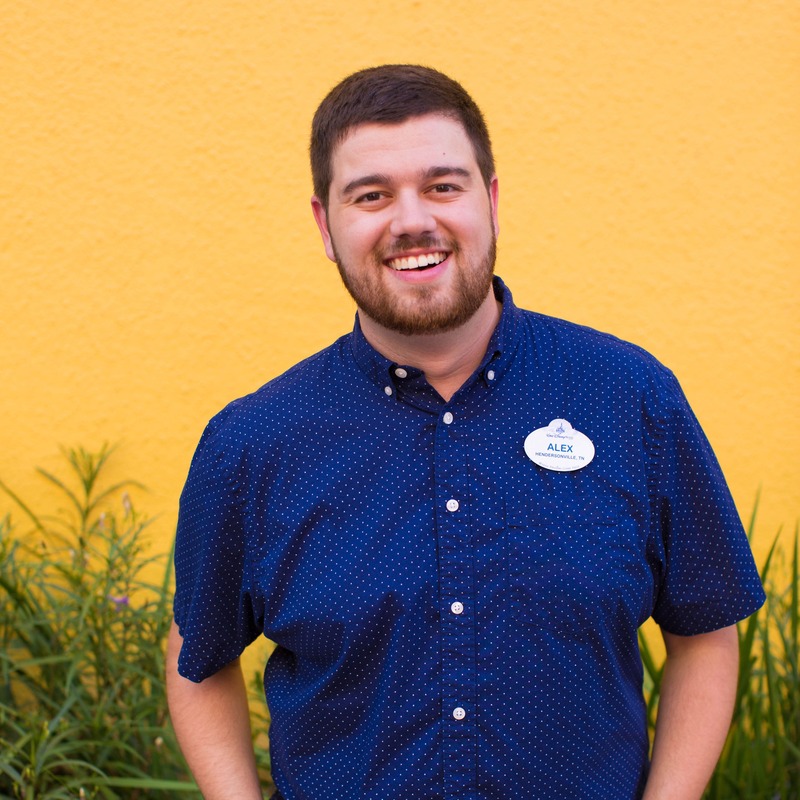 Ye not be dreamin’ – pirates be taking over the Disney Parks Blog for Talk Like a Pirate Day. So bear up and stop your ballyragging, me crew dug up a salty mystery image in need of solvin’ before high tide. 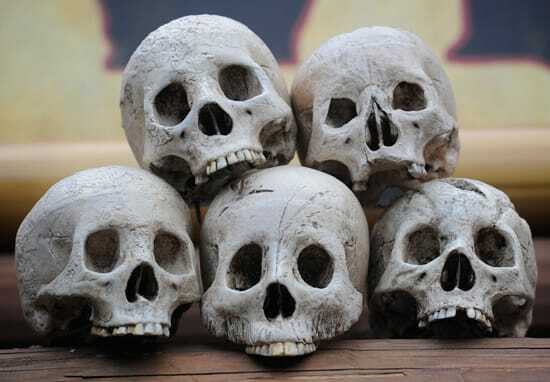 I, meself be willing to gamble for a halfpence the location of these skulls stump all you scallywags. So, are ye willing to be venturing a guess in comments? Aye, shiver me timbers, that’s right! Ye skulls are part o’th’Adventureland sign at Magic Kingdom Park at the Walt Disney World Resort. If ye be guessin’ correctly, then we raise the colors and thank ye until our next mystery image adventuaarrr! Arrrr! Ye be correct. Those skulls lie atop O’ the Adventure land sign.They be a warning to scallywags like yerselves not to cross. Tho it sounds like Marnie’s a brave wench and not paying any mind to the warnings of those that’s gone before. Ahoy , me mateys! Ye are all correct , it be in the most dangersous of all ye lands, Adventure Land !Beware ! Ye never know what perils may be ‘waitin for ya! Aye, ye fair maiden Barbara is right. 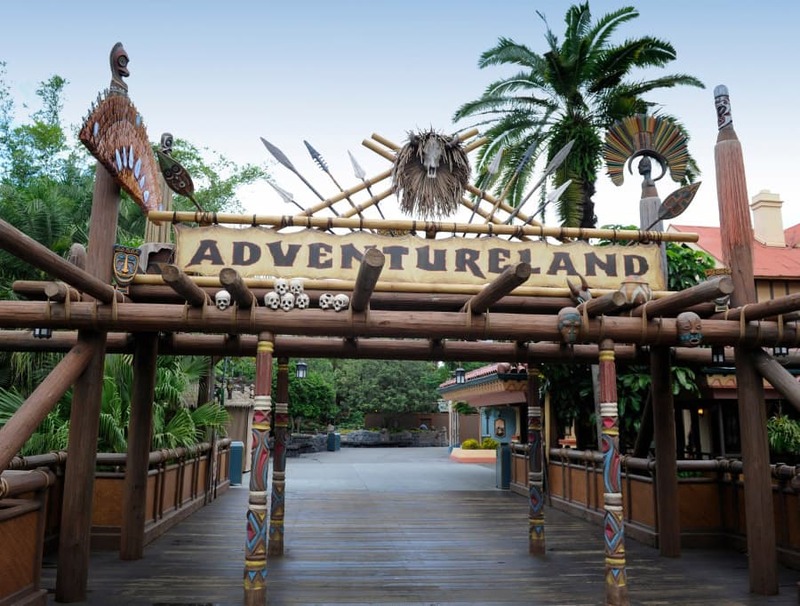 Those skulls lie atop of the Adventureland sign at the entrance to said land of ye pirates. Cross over the bridge at your own risk! My guess is somewhere on the Jungle Cruise. Yep…on the top of the Adventureland sign! ARRRGGGHHHH….ahoy mateys…the jungle cruise, tiki room, pirates of the carribean…the smith family robinson treehouse…all in adventureland…worth their weight in dubloons!!!! ARRRRGGGGHHHH!!! These skulls sit on the Adventureland sign at the entrance of my favorite land at Walt Disney World! 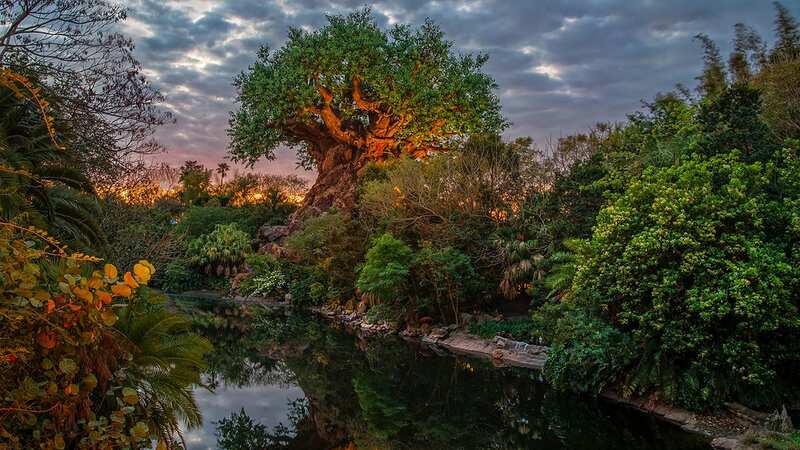 Jungle Cruise, Pirates of the Caribbean, Walt Disney’s Enchanted Tiki Room…need I say more? Ahoy, ye not be sayin’ any more. Well done, me hearty!